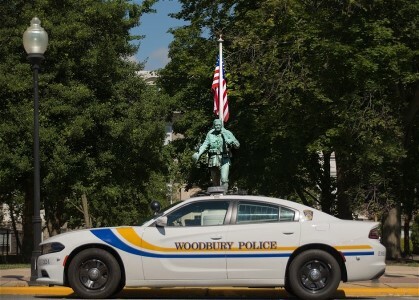 The Patrol Division is the largest and most visible unit within the Woodbury Police Department. The Patrol Division is staffed by highly trained and qualified officers that work 24 hours a day, 7 days per week, 365 days per year. The Patrol Division is comprised of (4) squads of uniformed officer who work rotating shifts between day work and night work. Each squad consists of several officers and is supervised by a Sergeant. The Patrol Division is commanded by a Lieutenant who oversees the four squads and all the functions of the unit. The shifts are strategically planned to provide an overlap of police services and to ensure continuous coverage throughout the city. The patrol division is split up geographically into 4 different areas. The primary mission of the Patrol Division is emergency response, crime prevention, preliminary investigations, proactive patrol, and traffic enforcement. The best way for that to happen is to have a partnership between the police and the community, so we urge you to contact us at any time with any questions or concerns. And please remember, “See it, hear it, report it”. 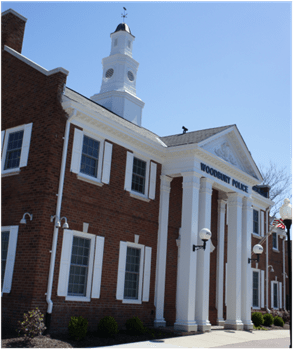 The Woodbury City Police Department is now utilizing Axon Body 2 body cameras in an effort to increase trust and transparency between the department and the community we serve in addition to our mission of providing accurate and detailed reports about complaints we receive and suspects we prosecute. These body cameras are worn by all of our uniformed patrol officers. Generally, the cameras are worn center mast in the middle of their chests or on their belt. 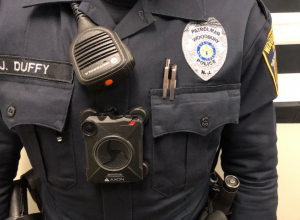 Please reference the photo below of one of our officers wearing a body camera.